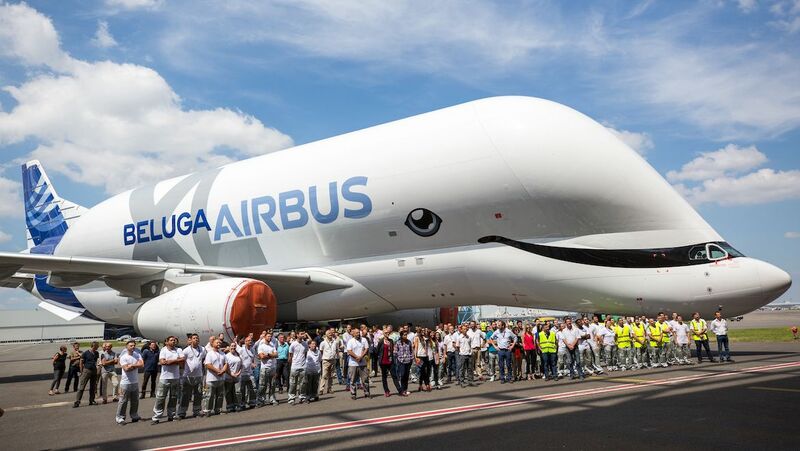 It was a case of all smiles at Airbus’s Toulouse headquarters when the first BelugaXL rolled out of the paintshop. 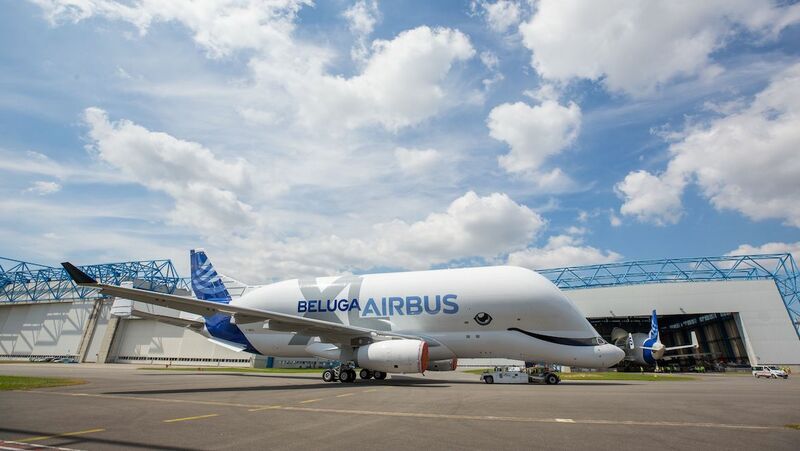 The over-size transport aircraft has been painted in a special Beluga whale-inspired livery including whale-inspired eyes and an enthusiastic grin. The first BelugaXL completed final assembly in early January. The aircraft will undergo ground testing before its first flight scheduled for later in 2018, Airbus said on June 28. Airbus announced in November 2014 plans to build five new “Beluga” transports to cater for the planned production rate increases of its aircraft models. The aircraft is based on the A330-200 freighter featuring Rolls-Royce Trent 700 engines and re-uses a large number of existing components and equipment. It will be capable of carrying a full set of Airbus A350 wings. Entry into service is planned for 2019. The supersized smile painted across the “face” of the aircraft was the winning design from six options Airbus presented to its employees in 2017. Airbus said that of the 20,000 people who participated, the “smiley” livery won with 40 per cent of the vote. 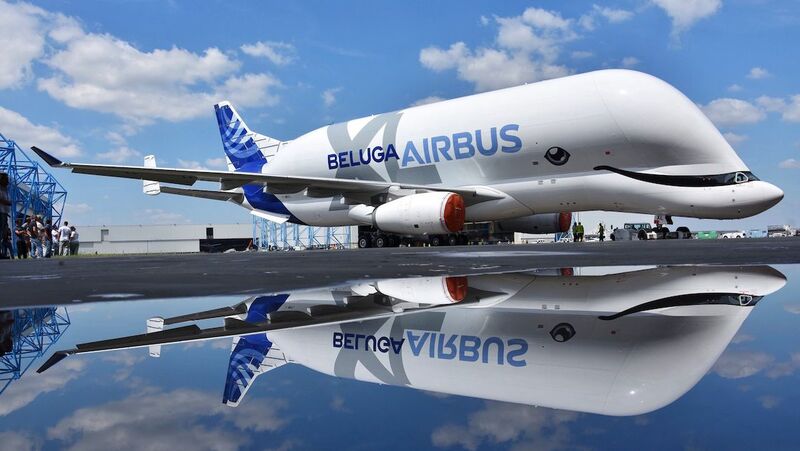 The BelugaXL is six metres longer and one metre wider than Airbus’s existing fleet of five Beluga ST aircraft, which was based on the out-of-production A300. The current fleet transports completed sections of aircraft to Airbus’s final assembly lines around the world. 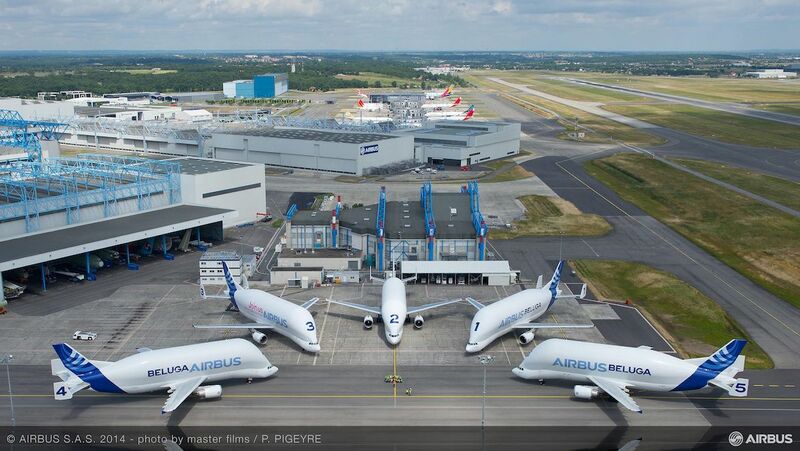 Airbus has said previously the Beluga ST fleet would be progressively retired through to 2025. The airframer currently produces about 55 A320 family aircraft a month, and has previously announced plans to increase the rate to more than 60 a month by 2019. And the production rate of its A350 widebody family is forecast to ramp up to 13 a month in 2019, compared with about 10 aircraft a month currently. Meanwhile, Airbus has guided the market to expect about 50 A330 deliveries in calendar 2018, compared with 67 deliveries in 2018. VIDEO: A closer look at the Airbus BelugaXL from the Airbus’s YouTube channel. Sorry, but the smiling whale livery was lost on me … more like a dolphin! Can’t imagine why such a mammoth cargo freighter only relies on two engines. In my “aeronautical naivete” I would have thought the A380 would have provided a better base on which to build this sort of aircraft. But the five existing A300-based Beluga STs proves me wrong … again! It’s just the Russians hung six engines off the wings of their Antonov An-225 Mriya … just saying. ALANH The BelugaKL is based on the A330 which is why it only has two engines. The maximum take off weight is less than an A330. It is designed to move bulky loads not heavy loads and the engines fitted are more powerful than those fitted to the AN-225 which has an MTOW of 640 tonnes compared to the BelugaXL at 227. 2 engines are cheaper to operate than 4 or 6. Will all beluga’s be smile equipped or just the first one? Lovely bit of whimsy!